We’re more than excited to roll out this year’s Summer Reading List, which features just a few of this year’s visiting authors. 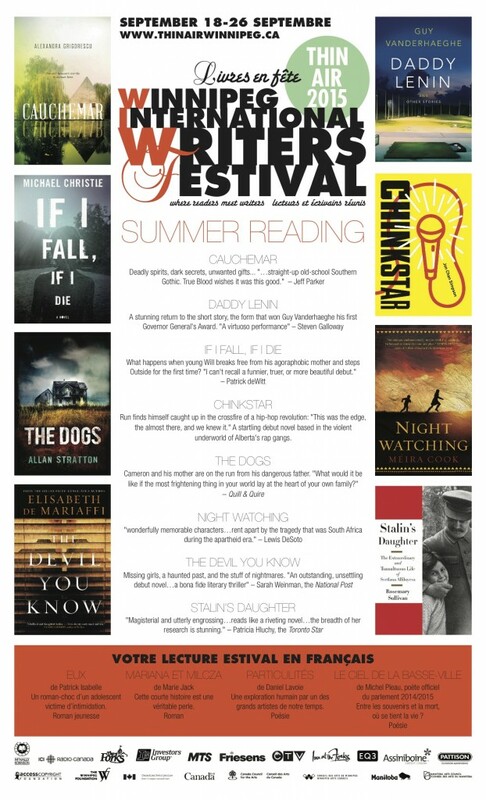 Here are some highly recommended books for you to read over the summer in preparation for this year’s Thin Air festival! Be sure to check back for more festival information and listings in the coming weeks. Happy reading! Full listing of authors and book titles.